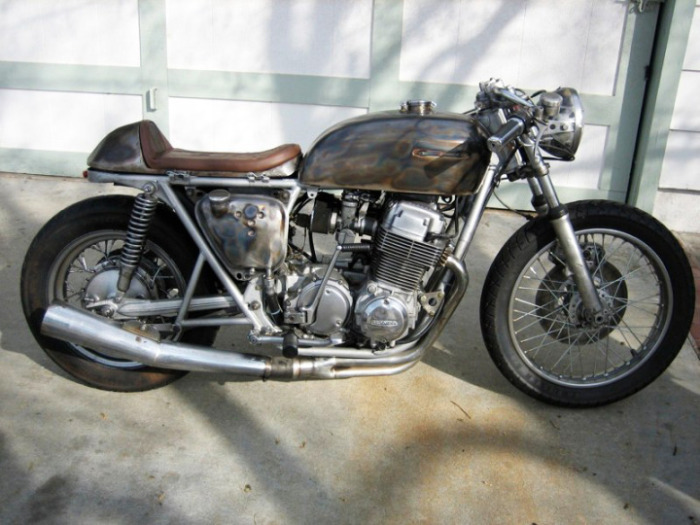 Kott Motorcycles is a small custom shop near Los Angeles California, specializing in the restoration and customization of 1970’s era Honda 750’s, 550’s, and 350’s. Like us, the owner Dustin Kott has a passion for cafe racers. We love the raw look of his bikes especially this 750 named ‘Distressed’. With clubman bars, hand formed racer seat and no fenders, this bike has been done in true cafe style. Check out more bikes from Kott and this nicely shot video of Kott in action.